I received a test-shot of the new 1/35 scale Dragon M16 in early 2007 and built it as seen here. This was a pre-production test-shot and lacked some of the features in the final commercial release. 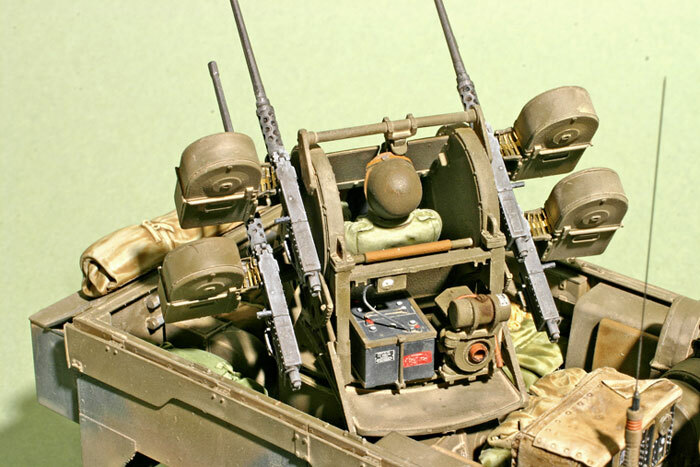 One of the sticking points was the radio which is usually incorrectly depicted in most kits if depicted at all. 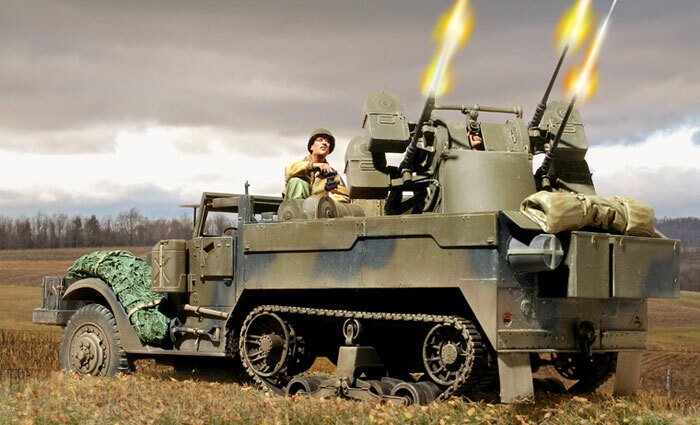 Dragon delayed the release to fix this, and the kit will contain the 1944-standard SCR-528. Incidentally, info on the proper fitting came largely from Missing Lynx readers. I had to scratch-build this fitting for my model. 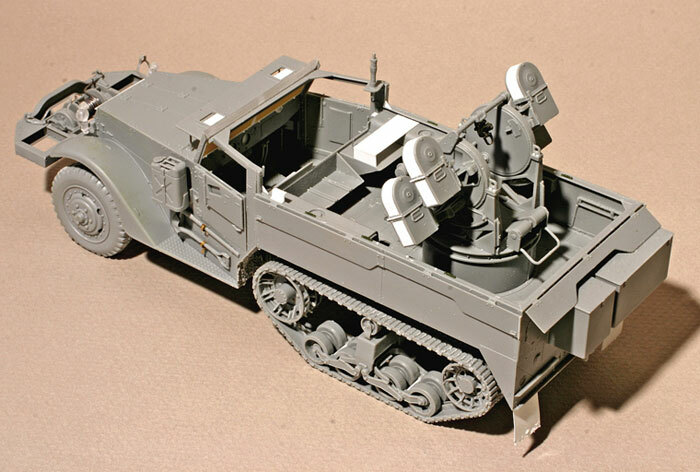 The Dragon kit is extremely nice and will be familiar to anyone who has built their earlier M2 half-track. The rear end is new with a nicely detailed Maxson turret. The only area with problems are the .50 cal ammo chests which have a seam running down the middle. This is not an especially big deal to clean up, but there is some subtle molding detail that may be lost from sanding. So instead, I glued on a thin strip of .005 thou plastic sheet to cover the seam. The stowage on my model is largely Blast resin bits, but the camouflage net and tarp on the fender are scratch. 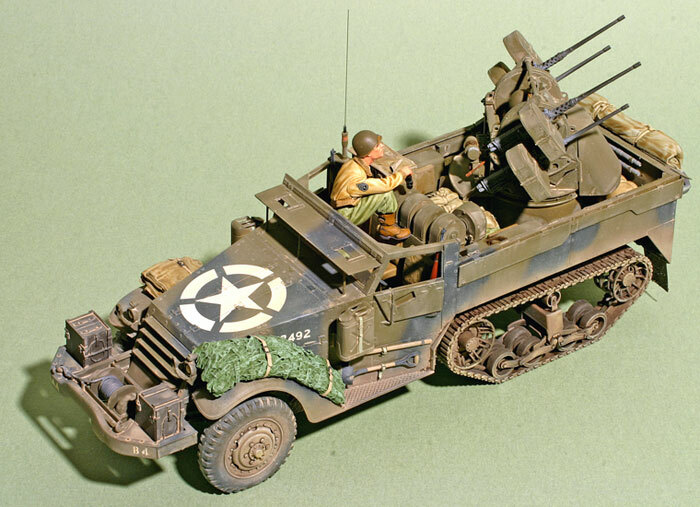 All in all, a very nice kit of a popular half-track variant!